The biggest step with moving is organizing a suitable Furniture removal service. Thought of that yet? I think this is the right time now to take a pause and make a thorough analysis of what kind of moving plan are you going to undertake. The entire success of your relocation depends on what decisions you make and most importantly your chosen furniture removal company who will do all the move. Moving Interstate is not as easy job to do, and finding a perfect new home for your family and other factors that would greatly affect your conditions in settling down easily in your new environment. The first crucial step is to find an ideal place in your home where you can use it as an area for the entire packing preparations. The chosen area or room should be only designated for all your packing and be accessible only to the one in-charge. If you have children or old family members, try to restrict this packing area from them, so that it would not be the cause of harm or danger to your loved ones. Safety precautions must always be your top priority no matter how pre-occupied you can be at the moment. Second step to follow in the event you hired an expert furniture removal company is choose a bigger area in your home wherein you can allocate the moving staff of the furniture removal to do their task of packing all your belongings and moving of your treasured furniture sets to their loading vans. Make sure that there is enough supply of all the needed packing materials like boxes of different sizes and shapes, scissors, packing tape, bubble wrap, gum and other necessities for your furniture removal concerns. 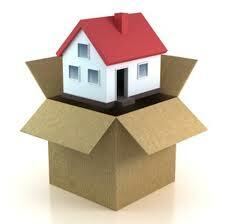 Third step, always coordinate with your chosen furniture removal team manage about all your packing requirements. Advise the packing team on the actual day about your preference on what items to be packed first and so forth. It would be better if you make a detailed layout and provide a moving checklist of all items that need packing according to their priority. Fourth, if you still have plenty of time before the actual move, start packing early with the small items on your own before the service of your chosen furniture removal comes in to do the most complex tasks of moving delicate items and heavy furniture. By doing this in advance, you are lessening the burden of rushing all the packing preparations if done in one go.